Smart TVs used to be consistently worse than dedicated streaming players. That’s no longer the case. Where’s the antenna support on streaming-TV boxes? A few years ago, I refused to even consider using a smart TV’s built-in software over an external streaming box. The experience was typically too sluggish, the app selection too limited, and the features too far behind the times. Although I’ve bought three TVs in as many years, software was never part of my decision-making. But as I look back at CES, the tech industry’s TV-centric mega-tradeshow held in Las Vegas last week, I’m starting to reconsider. Smart TVs are increasingly becoming first-class experiences, superior to what you’d get with a dedicated streaming box or stick. To be clear, this transformation didn’t happen overnight. 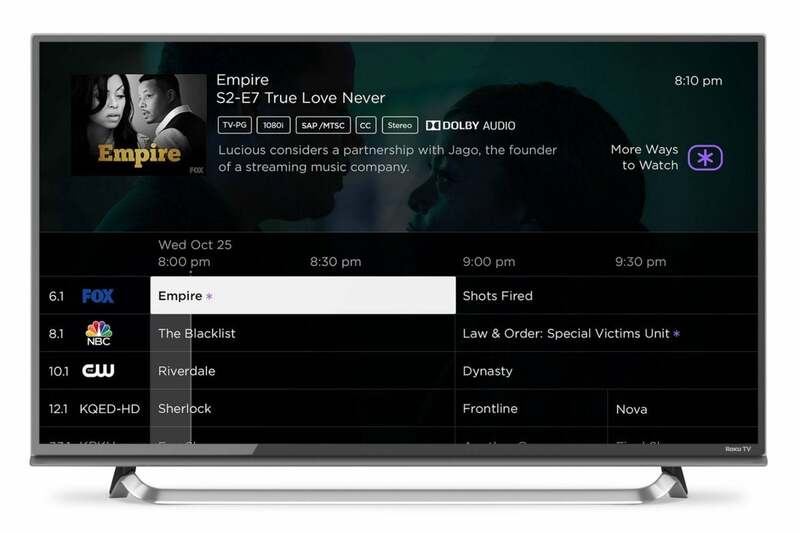 Roku has been putting its software on smart TVs since 2014, the first televisions running Google’s Android TV software arrived in 2015, and Amazon started putting its Fire TV software in a handful of televisions last year. 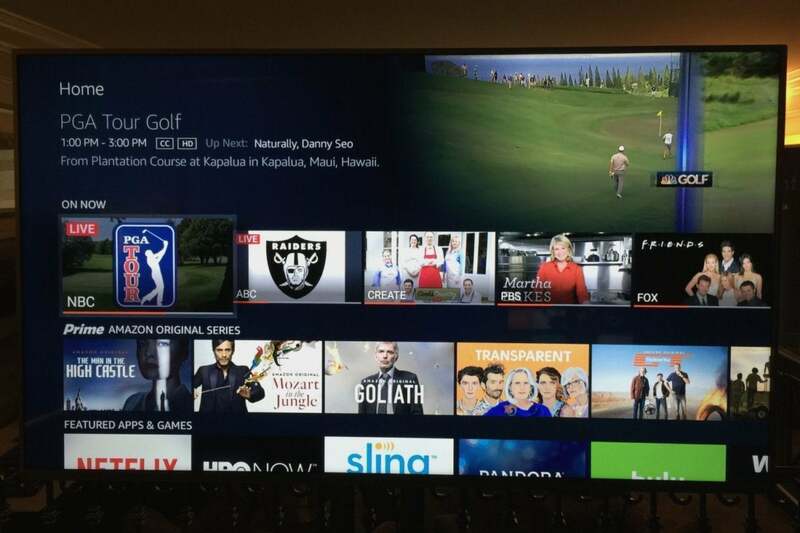 In all cases, the app selection and features are the same on smart TVs as they are on streaming players. Still, those options used to only occupy the margins of the TV business. Over time, TV makers have become more amenable to partnering with the major streaming platforms, rather than trying to build their own. Roku, for instance, said in early 2017 that one out of every eight televisions sold in the United States run its software, and it expected 150 Roku TVs to be available by year-end, up from 100 models in 2016. Sony also continues to use Android TV on most of its televisions, and Google has enlisted several new Android TV partners for this year including Hisense, Westinghouse, Element, Haier, and Funai (which makes TVs under the Philips, Magnavox, and Sanyo brands). And although Amazon hasn’t announced any new smart TVs for 2018, more are supposedly on the way. 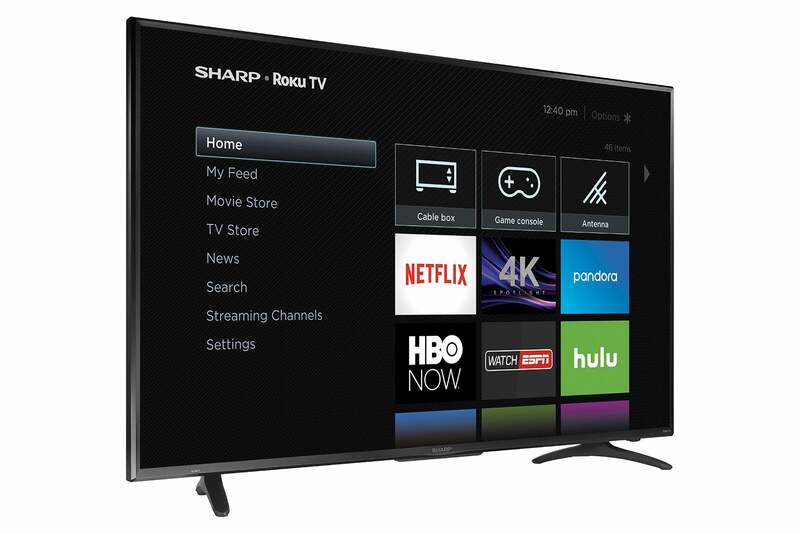 Sharp is one of several TV brands that now makes Roku TVs. All of which means you have a lot more options now for TVs with vibrant app ecosystems built in. Even if you opt for a TV from LG or Samsung—both of which use homegrown smart TV software—their app selections aren’t terrible. Samsung, for instance, added support for Sling TV, DirecTV Now, and Hulu with Live TV last year. One of the biggest problems with smart TVs used to be their performance, which without fail was choppier and laggier than dedicated streaming boxes. That’s far less likely to be the case now, as the often inexpensive chips inside connected TVs have evolved. TCL, for instance, has been putting quad-core processors into its 4K Roku TVs since 2016, affording them the same breezy performance as Roku’s streaming boxes and sticks. And in general, Roku’s platform is well-optimized even for the cheapest streaming hardware, as seen with this year’s $30 Roku Express streamer. On the Android TV side, some folks still do complain of occasional sluggishness, but that’s also an issue with any sub-$100 Android TV streamer (and with Amazon’s Fire TV range). 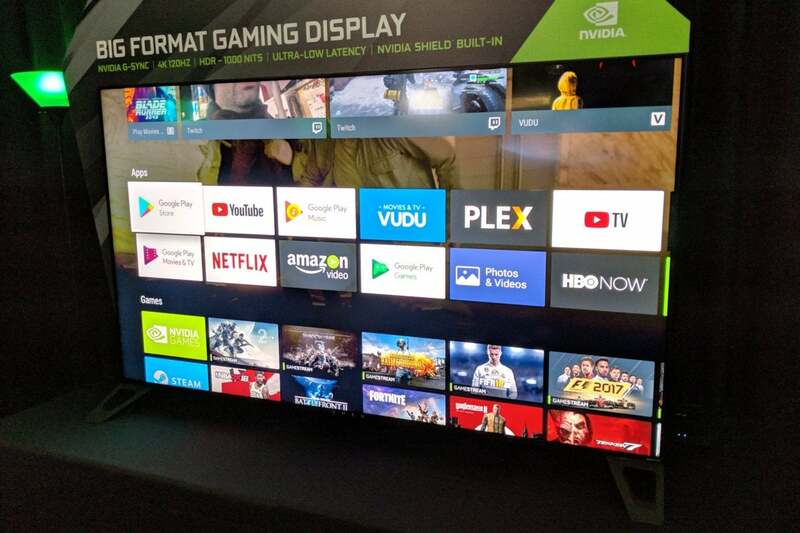 If you want an Android-powered television with maximum power, you’ll be able to get one this year with Nvidia’s Big Format Gaming Displays, which have the same processor and software inside as an Nvidia Shield TV box. Big Format Gaming Displays from HP, Acer, and Asus will put the power of an Nvidia Shield box inside a 65-inch panel. In some ways, smart TVs aren’t just comparable to dedicated streamers. They’re better. If you have an over-the-air antenna, for instance, Roku, Android TV, and Fire TV Edition televisions will all let you watch live channels on the same input you use for streaming video. They also allow you to time-shift live TV by plugging in a USB storage device. Roku even goes a step further by suggesting videos to watch based on your over-the-air viewing habits, and a new feature on Fire TV Edition televisions provides a unified guide for broadcast channels and live streams from Amazon Channels. While there are ways to integrate over-the-air broadcasts with streaming boxes, they're more expensive and complicated. Smart TVs can also work with voice assistants, such as Amazon Alexa and Google Assistant, in ways that would be difficult with an external streaming box. If you want to turn the volume down or switch inputs on a Sony Android TV, for instance, you can just ask a nearby Amazon Echo to handle it instead of reaching for the remote. A similar feature is available for Google Home users with Android TVs. And while Roku TVs don’t offer anything similar right now, they likely will in the future as Roku rolls out its own smart speakers. Over-the-air integration on Fire TV Edition televisions means you don't have to switch inputs. All of this has compelled LG and Samsung to step up their own smart TV software this year. LG's ThinQ AI will allow for some nifty voice commands, such as "turn off the TV when this show is over," and is throwing Google Assistant into some of its TVs for good measure. Samsung is adding its Bixby voice assistant to some smart TVs, and promising the ability to send videos from your phone to the TV, and remind you when shows you watch are about to start. 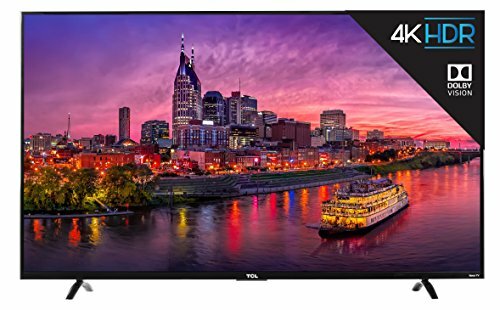 Besides, using a smart TV is just simpler than having a dedicated streaming box, reducing the number of devices and remote controls in your entertainment center. Of course, that doesn’t mean you should immediately replace your beloved Roku or Fire TV with a new television. And even if you do start using a smart TV for streaming video, you may still want to hook up a dedicated streaming box four or five years down the road to take advantage of newer technology. But the next time you’re shopping for a TV, don’t treat smarts as an afterthought. You might be pleasantly surprised.